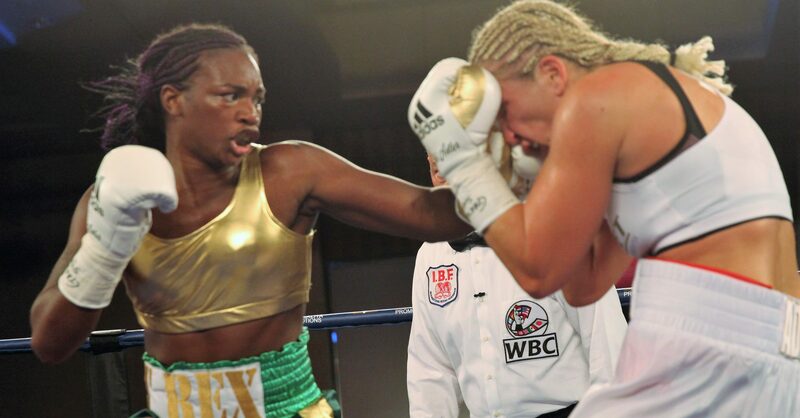 Two-days after she retained her middleweight titles on the road to earning the WBC middleweight title, Claressa Shields has signed on to fight less than a month from now. Shields, who would glide past Hannah Rankin on Saturday night, will return to the ring on December 8th, facing off against super middleweight champion Femke Hermans. The fight, which will be at middleweight, has been added to the final HBO “Boxing After Dark” card at Stubhub Center in Carson, California. 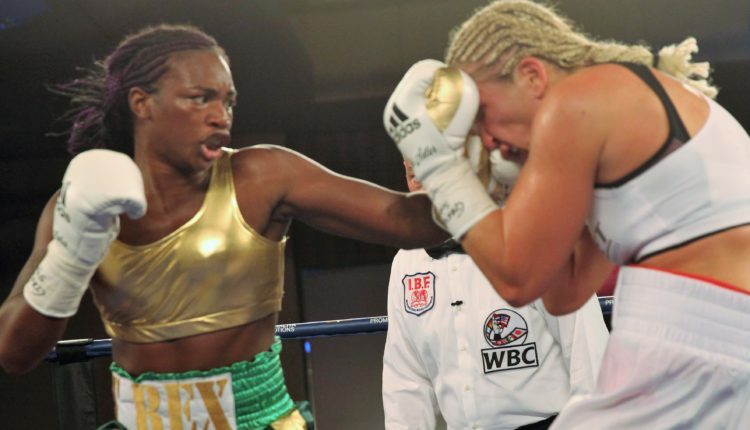 Shields and Femke will join a card headlined by welterweight champion Cecilia Braekhus, who looks for a 24th successful title defense against Aleksandra Magdziak-Lopes, which Shields will have her eyes on. The other fight on the three-match broadcast, will see Roman “Chocolatito” Gonzalez facing off against Pedro Guevara.